Affenpinscher Temperament (Curious, Stubborn, Active) Are You Ready? 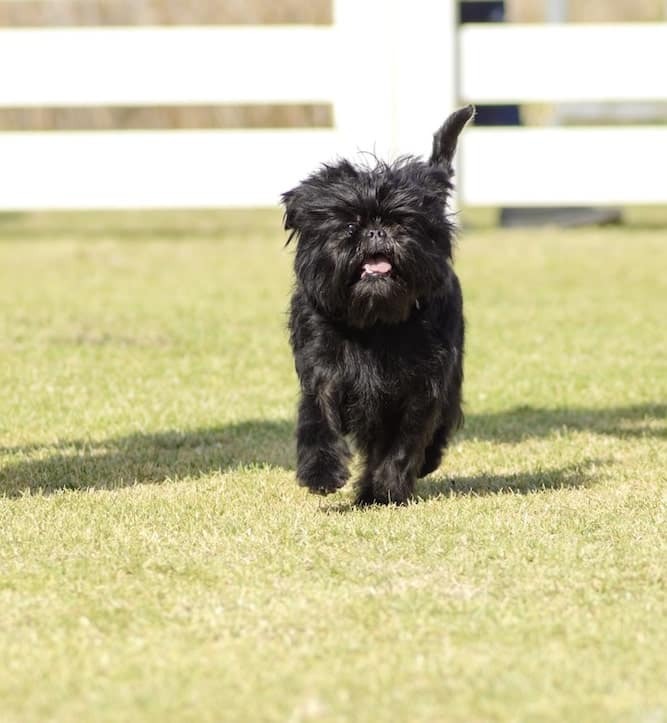 Are You Ready For The Affenpinscher Temperament? The Affenpinscher temperament is an admirable one. He is a loving dog who pays attention always to any outside threats. Anyone tries to mess with his family, and they will have to deal with him! The Affenpinscher dog’s name comes from the German word “Affe,” which translates to mean ape or monkey. This is a fitting description, as the Affenpinscher’s playfulness and tendency to get into mischief is quite like the temperament of a monkey. He also looks a bit like a monkey. Early Affenpinschers were slightly larger than today’s Affenpinschers, averaging about 12 or 13 inches tall. The Germans created the breed to be a ratter or a dog that catches rats in places like kitchens and stables. Stubborn – When he gets in one of his moods, it’s his way or the highway, which can make housetraining difficult. Curious – A strange noise or something moving around in his peripheral vision will never fail to catch his attention. Playful – Once he picks out a favorite toy, he can play with it for hours. Adventurous – He likes seeking out new things to do. Fun-Loving – Throw a ball, and he’ll chase it, bring it back to you, and wait for you to throw it again…all afternoon. Active – He loves when you keep him busy, whether it’s playing with him or training him. He works so hard to protect his family that he thinks nothing of going up against dogs much larger than him. When he does this, he becomes one of those small dogs that shakes when he’s excited. His family then has to watch out for him to make sure he’s not getting into any trouble. You must teach him not to taunt animals that are bigger than him and that could hurt him. If he does become excited at the idea of defending his family, he may take a long time to calm down. The Affenpinscher is territorial to a fault. And because he is so territorial, it’s best that he not be in a home with smaller children. He may think nothing of bossing them around, which can frighten the children. As with many other breeds, the earlier and more often you socialize him, the better. The more he is around other people and animals, the less standoffish he will be towards them. Some Affenpinschers also enjoy climbing and barking. Train him out of these undesirable behaviors by teaching him when the appropriate times are to climb and bark. While Affenpinschers can’t, and shouldn’t, live outside, they love to be outside as much as possible. If you don’t have a yard, take him to the dog park or around the neighborhood as much as possible to keep him happy. 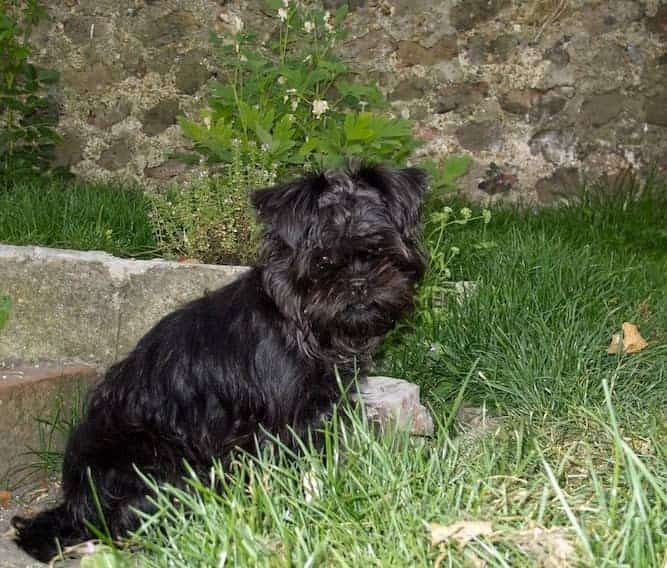 Because of the Affenpinscher temperament and his tendency to be stubborn, he has a reputation for being difficult to train. However, he also loves to please his master, and he’s very smart. Both of these things lend well to training. He will get bored easily, though, so make sure you keep him constantly challenged to hold his interest. He is more likely to remain interested if training sessions are shorter and more frequent. If necessary, consider hiring a professional trainer who specializes in toy breeds. Check out these FREE Dog Training RESOURCES for useful tools to help you train your stubborn Affenpinscher. You should brush the Affenpinscher’s coat twice a week, first with a brush, then with a metal comb. Gently pull apart any mats you find with your fingers. Trim the hair on his nose, when necessary, into a fan shape to keep the hair out of his eyes. His coat grows slowly, so you only need to trim it every few months or so. You should also brush his teeth and trim his nails regularly. Because of the Affenpinscher’s toy size, many are drawn to him because they think he would be ideal for apartment living. However, the Affenpinscher is an active little dog who needs regular exercise. Playing with him inside with a ball is fine enough to meet his needs. However, he does need a brisk walk once or twice a day. Plus, walks are good for him because they allow him to socialize with the other people and pets in the neighborhood. While most Affenpinschers are healthy, it is important to be aware of certain health problems that can affect the breed. With more information, you can decide whether you want to take on the responsibility of caring for a dog with health problems. You will also know what to look out for, should signs of any of these conditions present themselves in Affenpinscher puppies. On average, a healthy Affenpinscher’s lifespan is between 12 and 14 years. So you've decided you'd like to add an Affenpinscher puppy to your family. 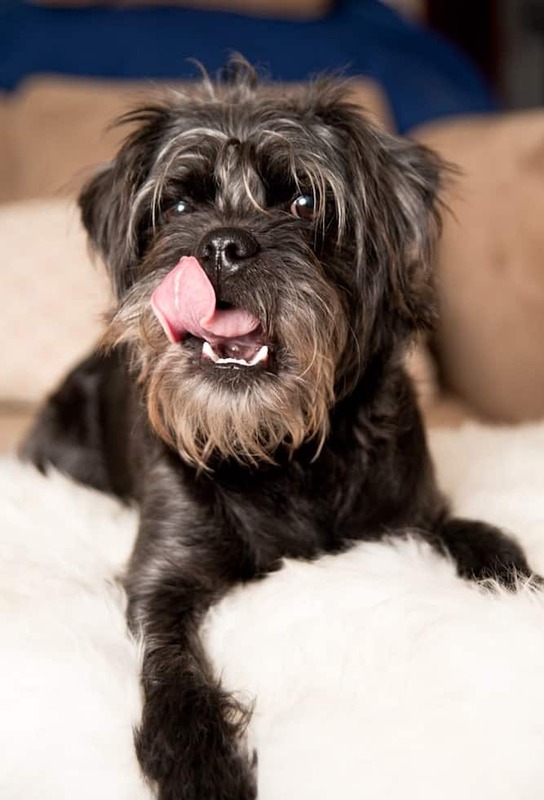 You may be considering an Affenpinscher adoption or purchasing the dog from a breeder. In either case, it’s important to have as much information as possible before you make your purchase. The average Affenpinscher price is between $800 and $1,200. The price of an Affenpinscher for sale depends on how “top tier” the dog’s lineage is. The breeder’s location can also affect the price. If you would like to adopt an Affenpinscher dog, the first thing you should do is research local rescue organizations and adoption centers. Affenpinscher pups may not be available when you first start looking but keep checking back. Finding a specific breed to adopt is often difficult, but if you’re persistent, you may eventually find what you’re looking for. As tempting as it may be to adopt a dog from another state, it’s best if you adopt a dog locally. This way, you can research the location and visit it yourself to see the conditions the dogs are living in before bringing one home. You must be a careful shopper if you’re interested in working with a breeder. Some breeders are all about the money and do not do what they’re supposed to when trying to sell a dog. Some don’t take their dogs for checkups, so they don’t have the necessary certificates of health. This is a problem when they’re selling a supposedly healthy dog for top dollar. A good resource to consult is the Affenpinscher Club of America. Here, you can learn more about the breed and get referrals for reputable breeders. 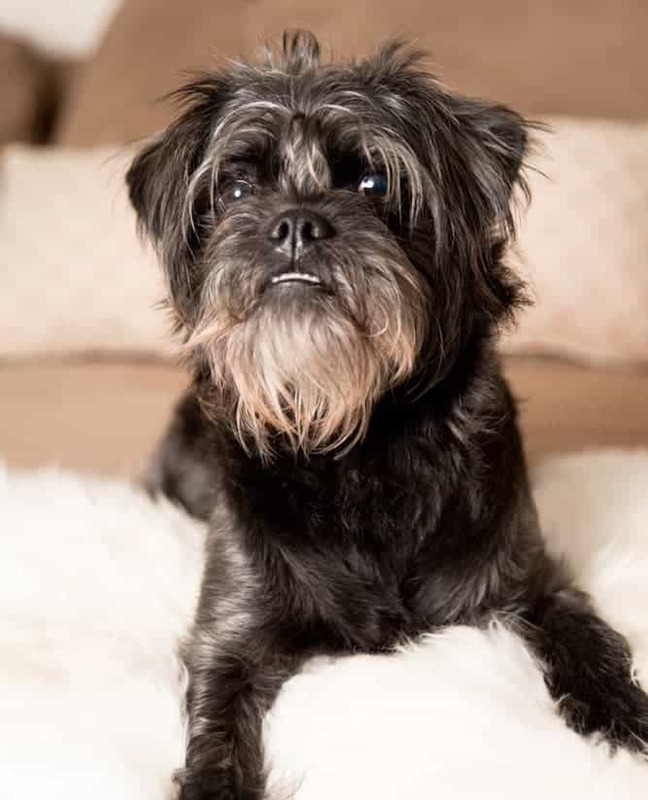 If, however, you're looking for an Affenpinscher mix, you may want to consider adoption instead. This is because breeders typically specialize in selling purebred dogs. The Affenpinscher temperament may make him a bit of a bully. To combat this, early socialization is key. The more he gets to know other animals in your area, the less likely he’ll find them to be a threat. But his bullying comes from a good place; he loves his family and will do anything to protect them. His small size makes him ideal for apartment living, but he still needs his exercise. One or two energetic walks a day is ideal, along with some indoor play to supplement. He can be stubborn at times, especially during training. Keep sessions short and challenging to maintain his interest.